What We Propose. The Expansionist Party ("XP") advocates reannexation of the Philippines, a former U.S. colony, to the United States, but this time as up to three States of the Union: Luzon, Mindanao (the two largest islands, in the far north and south respectively) and the Visayas (the islands in between). We feel this is the only thing certain to secure both political and social democracy for the archipelago and set its people on the road to fairly distributed prosperity. We also believe the Philippines can help restore perspective and purpose to a U.S. that has lost sight of its original, revolutionary dedications: liberty and justice for all, not just for people within the present 50 states but for all people who need liberty and justice, everywhere in the world. Philippine nationalism may seem a "nice" idea, but independence is a very hard road that leads to an uncertain destination. Recent events in the economy of East Asia have demonstrated that small countries have no economic security, no matter how rapid their short-term growth may be, because they are helpless before powerful forces of the world economy. What is the point of trying to be a new East Asian "Tiger" if even the older and more prosperous Tigers are utterly insecure economically? [Philippine independence dates from] "the outbreak of the Philippine Revolution in 1896, the declaration of the Philippine Independence on June 12, 1898 and the ratification of a Philippine Constitution by the 1898 Malolos Congress in January of 1898. These events mark the Philippines as having the first constitutional democracy in Asia." But the U.S. negated the Philippines' independence by ignoring its break from Spain and accepting Spain's grant of ownership to the United States  a transfer of possession opposed by Filipinos under the leadership of Emilio Aguinaldo in a three-year war, bitterly fought on both sides. The U.S. replaced Spain as colonial overlord, and remained the Philippines' colonial master until 1946. Perhaps Americans should be flattered that Filipinos officially do not admit that their stay under U.S. 'guidance' was colonialism, but it plainly was. The Philippines may be the oldest democracy, or one of the oldest constitutional democracies, in Asia, but that would be from the establishment of the constitution of the "Commonwealth of the Philippines" in 1934 or, at earliest, the creation of an elected legislature under the Jones Law in 1916. If independence was ever going to work for the Filipino people, it would have done so by now. It has not. Rather, the mass of Filipinos are living a terribly hard existence. The problem is that not only is there no light at the end of the tunnel, there's not even a tunnel! They are in a sand pit, and as they try to scramble out, the sides cascade down around them, threatening not just to keep them deep in the hole but even to bury them. To the extent the Philippines has managed a modest economic improvement in recent years, that demonstrates how potentially valuable the archipelago can be to the United States. With investments targeted to appropriate industries; with higher education and increased technology transfers; with inclusion within the U.S. tariff wall and currency area, the Philippines can prosper, and contribute mightily to the prosperity and power of the United States. So the Philippines, in petitioning for statehood, would come to Congress not as a beggar pounding piteously on the door, but as a businessman making a joint-venture proposal and bringing something of transcendent value to the table: 98 million intelligent and hard-working people ready to learn, to work, to contribute to the Nation, and to bring what could be a tropical paradise for American businessmen, students, and retirees into the Union. 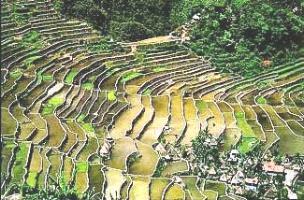 Banaue Rice Terraces, northern Luzon. The two photos above depict a spectacular achievement of Filipino intelligence and hard work: the Banaue rice terraces, a 10-hour tourbus ride north of Manila. These ancient works of agricultural engineering were created 2,000 years ago by the Ifugao hill people of northern Luzon, who still farm them. They overcame a mountainous environment inhospitable to the growing of rice, a staple food of the Philippines, to create a practical and beautiful complex that is a UNESCO World Heritage Site. The reason the Philippines was taken from Spain by the United States in the first place was to provide a steppingstone and trading way station to Asia. The Philippines is still between the U.S. and the Asian mainland. It is still a way station  indeed more so now than in 1898, because millions of Filipinos now speak fluent, nuanced English and can communicate beautifully with Americans in a host of subject-matter areas, from humanities and politics to advanced technology. The Philippines is also a steppingstone to Australia and New Zealand, English-speaking areas that many Americans feel an affinity for but which are so far away that most Americans wouldn't dare even to think of offering them statehood, much tho we'd like them to join the Union. But if the Philippines becomes a state (or three states) of the Union, hey! Australia and New Zealand are, to the American way of thinking, just a hop, skip, and a jump away! Philippine statehood would also help end the colonial condition of the United States' three Pacific non-state territories, Guam, American Samoa, and the Commonwealth of the Northern Marianas. Once the American eye is cast so far afield from its customary view, it will see the colonial condition of those areas and demand that such unfairness end. Areas closer to the Philippines might choose to become part of one of the Philippine states. Or they might all prefer to join the State of Hawaii, where their tiny populations would have more sway. But they would no longer languish in malign neglect. A spotlight on the Philippines would flood over those territories too and make Americans face the long and shameful neglect of those island colonies. See "Equality Across the Pacific" (Pacific.html). Reannexation of the Philippines to the United States could be done by a treaty that would survive the grant of statehood as, for instance, to phase in over ten or twenty years certain rights of citizenship, such as the absolute right to move to the U.S. That might be necessary to allay fears in the United States of being inundated by 30 million Filipinos looking for work. Naturally, most Filipinos would prefer to find work in their own state. Temporary, reasonable, mutually negotiated controls on the right of free movement, of Americans to the Philippines as much as the other way around, would give the Federal and State Governments time to build up Philippine infrastructure and give U.S. private investors time to build the factories, research facilities, etc., that would provide jobs in the islands for people who would prefer to stay in the islands if they can find work there. That would mean that only Filipinos who want to live elsewhere in the Nation for reasons other than dire need would move there. For instance, if they have relatives in Illinois or have always wanted to live in New York or Los Angeles, to work in the Broadway theater or Hollywood film industry, or they like the idea of the vast, cold emptiness of Alaska. Or maybe they want to be near the center of power, in Washington, or own a big farm in flat, uncrowded Iowa. Spreading the Word. We believe, from evidence, that there is substantial latent sentiment for statehood in the Philippines. We also believe there is a reservoir of good feeling toward Filipinos from the days of World War II when Yanks and Filipinos fought side by side against the Japanese, and that this reservoir of good will may win millions of people in the United States to the cause of Philippine statehood. It may still be that not all Americans even know that the legal relationship between the U.S. and Philippines has ended. Contestants on a U.S. television game show in 1984 thought the Philippines was still a U.S. territory! Tho almost everyone in the U.S. does appreciate that the Philippines is presently independent, they also know that our two countries were associated for decades, and they look back upon that relationship with fondness. So we think a lot of Americans will welcome an application for statehood from the Philippines. But people must hear about the idea before they can think or act upon it. Since there is no leadership for statehood issuing from government in either country, private citizens must take the lead. Individual Initiative. How can private persons advance the cause of statehood for the Philippines? There's actually quite a lot an individual can do, by himself or in conjunction with friends. Here are some suggestions. If you know people who might help, you can form a group such as the Committees suggested below. But even one person acting alone can make a contribution. After all, the greatest flood begins with but a single drop of rain. Background. In the 1770s the thirteen North American colonies of Great Britain instituted local Committees of Correspondence, organizations appointed first by towns, then by the central government of each colony, whose purpose was to write letters to share information and ideas with people elsewhere in their own colony, then with other colonies. When the Thirteen Colonies became outraged by London's high-handed behavior, Committees of Correspondence helped colonists understand that they were not alone in their righteous indignation. The Committees developed into centers of political action. Recognizing that only so much could be accomplished by letter-writing, the Committees of Correspondence called a meeting of concerned citizens from all colonies, which meeting became the Continental Congress. Out of that Congress came the American Revolution. What we propose, then, is creation of formal or informal Committees of Correspondence in the Philippines and U.S. to promote Philippine statehood. Such Committees would write brief letters to the editor of Filipino and U.S. publications of all types, targeting their remarks to the particular audience addressed and tying such remarks to an article published by that publication or a news development that publication could reasonably be expected to take interest in. The Committees would also write letters to Philippine, Filipino-American, and general U.S. organizations, politicians and political parties, using arguments specially thought through to appeal to the recipient of each letter. 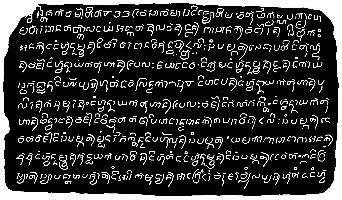 This text, pounded into copper by Filipinos over 650 years before the Spanish colonized, illustrates that Filipinos had their own writing system long before either Moslems or Westerners arrived. For an extended discussion of this artifact, see Santos, Hector. "The Laguna Copperplate Inscription" in A Philippine Leaf at http://www.bibingka.com/dahon/lci/lci.htm. US, October 26, 1996. For instance, one letter might go to a trade association of the Philippine tourist industry comparing Hawaii's pre- and post-statehood tourist business and showing how much Hawaii's per capita income has risen since statehood. Another letter might go to the U.S. Catholic Conference to point out that the Catholic population of the U.S. would increase by some 80 million if the Philippines were to become a state, so that Catholics everywhere in the U.S. would feel their position strengthened and the religious life of the nation would become more balanced than it now is. Similarly, letters could go to Moslem organizations in the U.S. stressing that the Philippines would bring millions more Moslems to buttress the position of Islam in the United States. Another letter might go to the National Association for the Advancement of Colored People pointing out that Filipinos too have felt the sting of prejudice, so would be sure to ally themselves with the aspirations of blacks and other minorities in the U.S., adding massively to the strength of a coalition devoted to economic and political justice for all citizens regardless of color, ancestral language, or any other irrelevancy. You can write letters to U.S. sports leagues suggesting they expand to Manila, a great potential market, or even just hold a football post-season Bowl Game there. If Manila should get an American League baseball team and a National Football League franchise, the Philippines would be constantly in the minds of U.S. sports fans and of television news viewers who hear sports scores whether they want to or not. You can send letters to heads of U.S. corporations doing business in the Philippines to point out that statehood would improve business conditions and insure against nationalist expropriations. You can write to the Joint Chiefs of Staff in the Pentagon, Secretary of Defense and Secretary of State in Washington to stress that Philippine statehood would ease U.S. security concerns in regard to East Asia and the Indian Ocean, in giving the U.S. a staging area for defense and intelligence operations of many kinds. You can write directly to the national political leadership. The Internet addresses below take you to a feedback form by means of which you can send your thoughts instantly, no matter how far away you might be geographically. Senate Minority Leader Mitch MicConnell (http://mcconnell.senate.gov/contact_form.cfm). You can tell them that many Filipinos want very much to resume the ties broken in 1946, something few politicians realize. Say that Filipinos admire the U.S., share its ideals, and want to help with its work in the world, especially the Third World. Point up that the Philippines' large population would guarantee that manpower needs for the all-volunteer army would always be met; and that a relatively low-wage area off the densely populated coasts of Asia would enable the U.S. to compete against low-wage Asian manufacturers both domestically and internationally, as to ease U.S. balance-of-trade problems considerably. There are multitudinous audiences to be cultivated, each with its own point of view and political power. In the Philippines, Committees of Correspondence would seek to bring out into the open pro-statehood sentiment that may now be hidden for fear of social disapproval, then channel pro-statehood sentiment into useful activity. In regard to the U.S., such Committees would alert people who have never thought about it to the fact that millions of Filipinos believe it would be in the best interest of both countries for the Philippines to be admitted to the Union. Such Committees of Correspondence would work toward the day, hopefully in the near future, when the Philippine people and government unite to petition Congress for admission to the Union. Letters Round the World. XP is interested in statehood for many areas of the world, our feeling being that the fewer countries there are on Earth, the less conflict and more cooperation there will be toward solution of shared problems. Filipino Committees of Correspondence could promote the idea of an Intercontinental Congress, modeled on the Continental Congress that led to the establishment of the United States, to involve all the areas XP would like to see part of the Union in the next twenty years or so: the Philippines, Mexico, Canada, Australia, New Zealand, Ireland, the United Kingdom, Western Samoa, the West Indies, and other areas of Oceania, Western Europe, and the Americas. Committees in the Philippines could inspire formation of Committees in other areas, and they could all grow in sophistication and influence by sharing ideas. Australians inclined to join the United States might be glad to see the Philippines join Hawaii, Guam, and American Samoa as steppingstones to America. People in the U.S. who are racially biased against statehood for the Philippines alone might grudgingly consent to annex the Philippines if they thought that admission of that archipelago might soon thereafter lead to annexation of white Australia and New Zealand. Mexicans attracted to the idea of joining the U.S. for benefits that independence has not brought the people of Mexico might be wary of being culturally and religiously overwhelmed by an Anglo-Saxon, largely Protestant society. They might find the idea of a new Union, comprising the present U.S., Mexico and Philippines all united under the Constitution of the United States, a much more appealing idea. The Philippines' hundreds of years as a Spanish colony and the widespread use of Spanish surnames among Filipinos might incline Mexicans to see them as helping to make a cold, Teutonic U.S. warmer. Speaking from the heart, private citizens can reach other people's hearts, from residents of remote villages in the Philippines or Mexico to the Speaker of the House of Representatives and even President of the United States. Letters can be sent almost anywhere in the world, and most of them, by far, are read, unlike many other forms of publicity. Those that are carefully written and make good points can move people to action, and ultimately change the world. "WE, THE UNDERSIGNED, faithful citizens of the Philippines, urge our leaders to recognize that the people are the Philippines, and the people need a change. Independence was a noble experiment that failed, and now the people and government of the Philippines must have the courage to admit that failure and find another way to secure a free and happy future for our children, a future in which they can live with dignity, never losing sight of their heritage but never having to suffer for other people's stubborn pride. We ask the Government of the Philippines to petition the Congress and President of the United States to admit the Philippines to Statehood, so that all Filipinos can share in the rights and benefits which all people should enjoy and to which the United States has pledged itself: 'life, liberty, and the pursuit of happiness.' We seek to become part of the United States not to avoid our civic responsibilities but truly to live up to them. We offer the United States not a servile colony but a valuable partner in its vital work in the world. We share the ideals of the people of the United States and seek to be one with them. The world is too small and too troubled for unnecessary divisions to continue. Good people, wherever they may be found, must join together to solve common problems." 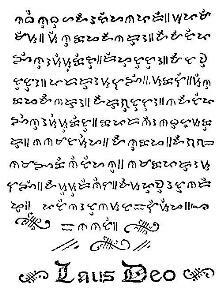 Filipinos hesitant to circulate a petition within the Philippines can copy the wording in a private letter, sign that letter petition and send it to us (c/o L. Craig Schoonmaker, 295 Smith Street, Newark, NJ 07106-2517, United States; or XPUS[the "at" symbol]aol.com) so we can put it together with similar letters to show politicians in the United States that there are indeed people in the Philippines who would like their country to join the U.S. If a petition, by any wording, should receive a significant number of signatures, it should be sent to both the President of the Philippines and the President of the United States, with copy to the leaders of Congress of both countries. Or two companion petitions with different messages, one tailored to move the Government of the Philippines, the other to move the United States, could be circulated side by side. On Your Own. When candidates for public office speak in your area, you can ask their attitude toward statehood for the Philippines, and encourage them to think about it. You can suggest that debate classes in local schools and colleges debate the topic "RESOLVED: The Philippines should join the United States." You can suggest to radio and television talk shows, especially phone-in shows, that they discuss Philippine statehood. ask for time to speak about statehood on the college radio or television station. Simplest of all, you can just talk about Philippine statehood whenever topics like the Philippines' future options and dangers, U.S. interests in Asia, or even foreign policy generally, come up in conversation with friends. You don't have to say you favor the idea to raise it. You need merely say you heard an interesting thought promoted by a group called "the Expansionist Party of the United States", and see what people say. Tell us what concerns people most about the idea, and what seem to you the strongest arguments we can make. If you come up with an idea we can use, tell us about it. Use your imagination from your own perspective, and dare to think big. It's a mistake to set only modest goals, because modest goals often result in only modest gains. If you are not able to handle an ambitious project alone, maybe you and somebody else together can, or maybe we at XP/New York can if you suggest lt to us. There's no harm in brainstorming. Who knows? Some "impractical" idea may lead someone you mention it to, to come up with an idea that is practical. Action Groups. You might form or propose that others form activist organizations around special audiences (for instance, Nurses for Philippine Statehood, Lawyers for Reunion with the United States, Labor for Statehood, etc. 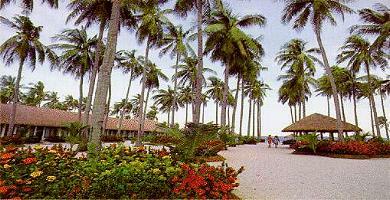 ), and use the media and networks of people that each special-interest group has developed, to promote statehood. One way to do this is to organize a caucus or subgroup within an existing professional or labor organization. You can then get free publicity in the larger organization's newsletter and at its conventions; even carry a banner in its parades and put out a literature table at its annual meeting, street fair, or picnic. The more little organizations there are, the more thoroughly the idea gets talked up and the more impressive the list of organizations becomes to politicians and opinion leaders. Once several organizations come to exist, they can form an umbrella group (say, Philippine Organizations for Statehood), to share ideas and information, coordinate joint activities, and issue joint statements on a letterhead that lists all member organizations at the side. There are, in short, hosts of things private citizens can do to advance the cause of statehood for the Philippines. I haven't mentioned two other things up to now  joining the Expansionist Party and forming chapters thereof  because people in the Philippines may face currency controls that would forbid payment of dues to New York and legal problems in joining a "foreign" political organization. People who, for whatever reason, find themselves unable to do the other things suggested, may find contributing to XP the simplest way to advance Philippine statehood. Comments and Suggestions. The suggestions above are by no means exhaustive. We welcome your thoughts. Statehood for the Philippines will never happen unless large numbers of private individuals assume personal responsibility for making it happen. P.S. It is vitally important that in all communications with media and opinion leaders, you note that interested individuals can get more information from the Expansionist Party of the United States, from our Internet site or thru the e-mail and postal addresses and phone number given atop our main homepage. Flag graphics courtesy of FOTW Flags Of The World website.